Beatified Priests, Nuns, and the Luftwaffe [November 9, 2007] How the Fascists also killed priests and nuns in the Spanish Civil War. Vatican Names Fascist Saints [October 30, 2007] Spain's Civil War era fascists beatified. The Catholic Church and the Dirty War in Argentina [September 18, 2007] Priest accused of helping fascists to torture victims. Mother Teresa, Hitler, and Stalin [August 26, 2007] Mother Theresa had her doubts. Catholicism Uber Alles [July 10, 2007]. The Pope asserts the inferiority of other Christian sects. Latin Mass: It's Back! [June 28, 2007]. Yes, now you can go back to worshipping God in his native tongue. 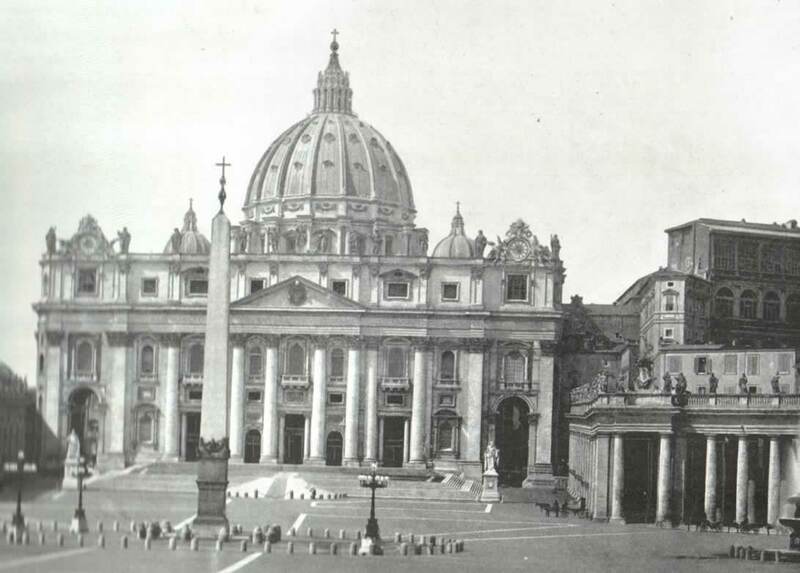 Italy, Catholicism and Fascism Today [June 3, 2007]. Age old problems repeat themselves. Catholicism and Fascism [December 12, 2006]. A review of the religious affiliations of Hitler, Mussolini, and General Franco. According to AP reporter Frances D'Emilio, Pope John Paul II delivered "a stern moral lecture" on Sept. 20, 1996 to Catholics assembled at St. Anne D'Auray, France. Vatican spokesman Joaquin Navarro-Valls stated that the doctrine of celibacy for priests, prohibiting them from marrying, would not be reconsidered by the Pope because "It's not a personal doctrine. It's a doctrine of the church that goes back to the first century." Lies don't change history. Priests were first forbidden to marry by Gregory VII in the 11th century. Judging from the New Testament, at least some of the 12 Apostles were married and had children. Celibacy is not mentioned by Jesus; it is first mentioned by Paul, who was not even one of the 12 Apostles. Keep in mind that the Catholic Church is a heretical break-away from Orthodox Christianity, which allows its priests to marry. Most Americans are taught in school that our history of constitutional liberty began with the Magna Carta, which the English barons forced King John to sign in 1215. They seldom hear that the Pope, who considered himself overlord of England and King John, announced the Carta annulled and excommunicated all who upheld it. Archbishop Langdon and most English bishops opposed the Pope, joined with the barons, and defeated King John in battle at Runnymede.